‘The Lockerbie Bomber’ is a highlight on the autumn theatre calendar in Malta, not only because it is making its international debut here but also because it’s a hard-hitting script with local poignancy. The play probes the potential miscarriage of justice which followed the downing of Pan Am 103 on December 21, 1988, killing 270 people. Britain’s worst terrorist attack and the subsequent conviction are narrated through six characters – two journalists probing the story, two grieving parents, and a CIA and British agent. Produced by DnA Theatre Productions, Kenneth Ross’s play is being performed in November. The Lockerbie Bomber comes to Malta following an acclaimed debut run at this year’s Edinburgh Fringe Festival. The Edinburgh Guide described it as “the most important play you will see this year”. DnA’s production is directed by Herman Grech, who gave us an interview on the play earlier this year, and presents a cast of Malta’s finest including Mikhail Basmadjian, Julia Calvert, Manuel Cauchi, Alan Montanaro, Denise Mulholland and Alan Paris. Mulholland plays grieving mother Liz Pasquall, whose 10-year-old son died in the crash. “Playing a role like Liz is a challenge in many ways, not least of which is trying to empathise with such an enormous loss,” she says. “I responded well to the ‘human’ aspect of the character. All the other characters in the play are distanced from the horror and personal impact of the situation – they are either intent on covering up or disclosing information”. In Ross’s script, Liz and her husband Bill (Cauchi) are the people who are living every single day with the aftermath and legacy of the bombing. “They lost their little boy. They lost the opportunity to be parents and as Liz says ‘to see all the amazing things a mother sees when her child is growing up’. If the characters of Liz and Bill Pasquall represent the human and emotional side of the tragedy, Alan Paris’s CIA operative Tucker Galt is the opposite. Says Paris: “It is one incident – the worst air disaster in Scottish history – but each character’s approach to it is different, because of their own agendas. My character is so detached from the tragedy in the story that I don’t have any scenes with Denise, or Manuel, who plays the father. “There is a lot of detail in the script,” he adds. “Names, figures, facts, dates; so this role required quite a bit of research, to make sure I actually know what I’m talking about! The play takes an angle on what could have happened, so it’s obviously important to stick to that angle, and deliver a character that comes out of that specific storyline/theory. “The way I see it, as terrible as Lockerbie was, Galt has a job to do, as a CIA operative, and nothing is more important to him than making sure that the facts remain the way he says they should be,” he concludes. 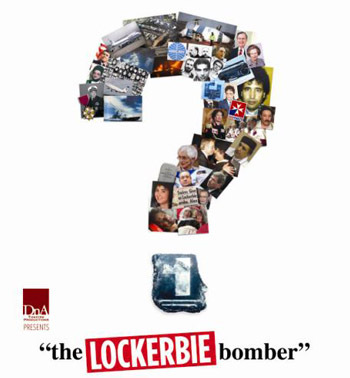 ‘The Lockerbie Bomber’ runs at St James Cavalier on November 1, 2, 3, 8, 9 & 10 November 2013 at 8pm. Ticket prices are €15 for all performances.